IHBC Jobs etc | The best way to reach the professionals you need! We’re looking for a third member to join our small team of Building & Landscape Design Advisers – and we’re flexible about where you live. We need someone who is passionate about our heritage and landscapes, with plenty of positive energy and drive, who can articulate what is special about our places, to help develop design solutions for the projects our Property Managers seek to deliver. Wirral Council requires an experienced and competent historic environment professional with the necessary skills base for the provision of specialist advice in the Council’s planning and development processes for the Borough to provide maternity cover until 28 February 2020. The Churches Conservation Trust (CCT) is a leading national heritage charity, protecting and opening 350 beautiful historic churches to the public across England, attracting two million visitors each year, including through its innovative activities such as Champing™. Norwich City Council are seeking a conservation and design officer to join a specialist team passionate about creating and conserving high quality buildings and public spaces. Being a custodian of the built environment of Norwich; which has a wealth of handsome buildings across the largest surviving medieval street network in the country, is a unique and rewarding responsibility. 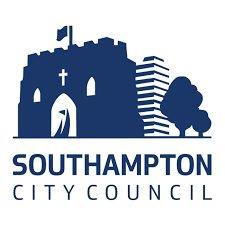 We have an exciting opportunity to recruit a Historic Environment Officer to join the Development Planning Team at Southampton City Council. Darlington is an historic market town, located in the southernmost part of County Durham, on the border with North Yorkshire. Darlington is part of the Tees Valley sub-region and is a Borough of 76 sq. km, one of the UK’s smallest Unitary Authorities. We are looking to recruit a qualified Conservation Officer, ideally with full membership of the IHBC or working towards full membership, to provide support, guidance and advice to colleagues within the Planning Service, internal and external stakeholders and members of the public. • Are you working towards full membership of the IHBC? • Are you looking for a role with variety, where you can be relied on for your expertise and experience? • Do you want to be part of an experienced and enthusiastic team? 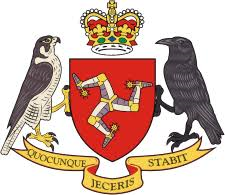 We are looking for a suitably qualified Registered Buildings Officer with relevant experience and interest in historic buildings and their preservation, to join a busy, dedicated team and be responsible for assessment and protection of the Islands built heritage. We are looking for an experienced, energetic and highly motivated Architect, Architectural Technologist or RIBA Part II Qualified to join our busy team on a full-time, permanent basis, starting immediately or as soon as possible.